Well tomorrow is my first day at Tresham College Wellingborough on the Level 1 Motor Vehicle Maintenance & Repair. I have considered all my options re blogging with updates and I've gone off the Twitter idea due to the inability to upload photos. SO if it's ok with the mods I will use this thread as my blog and update accordingly. I can't believe it was this cheap. 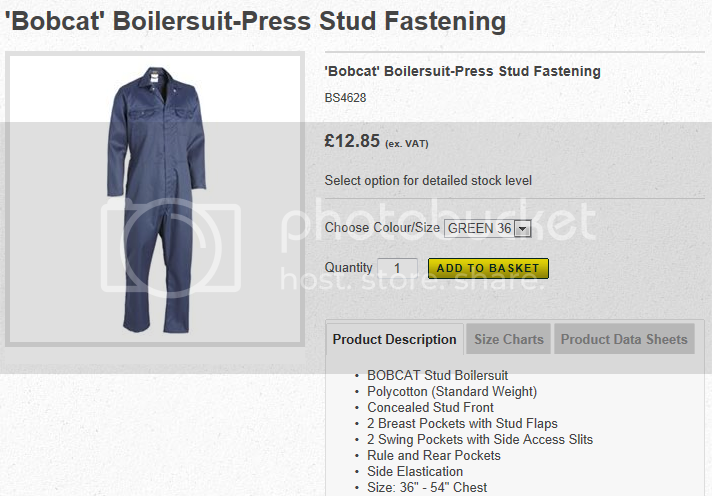 I bought it from BACA which are a safety workwear company in Northampton. The material is quite thin but this for me is a must as I sweat unbelievably! So I'll update what I've learned hopefully after each day and thought it would be nice to discuss various bits. I also want to get you some cool shots of the workshop. They have all the gear including lifts, tyre and wheel balancing machines, alignment machines etc. Head down the toilet on your first day. ............good luck with it. Good luck Webby... Enjoy yourself!!! !